Learn. Learn about hunger, poverty, and ECHO’s mission. Share. Raise awareness about hunger issues by sharing your passion. Invite. Connect others to our mission of equipping small-scale farmers with agricultural resources and skills. Give. Raise funds for this work by becoming a donor and inviting others to join the mission. Thank you for your willingness to share the ECHO story. This site is intended to give you information you might need to thoroughly share with others about ECHO, whether you need a 30 second “elevator speech” or more information for a larger presentation. ECHO is an international Christian organization that enables small-scale farmers, missionaries, and development workers worldwide to combat hunger, malnutrition, and poverty. 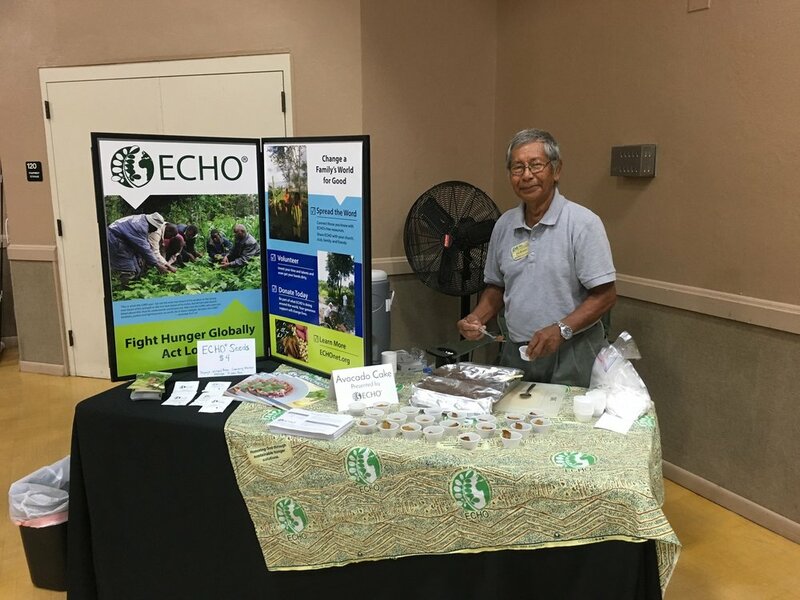 ECHO actively investigates, teaches, and promotes solutions to agricultural problems and seeks creative ways to grow food in difficult conditions. ECHO Florida is the international headquarters of ECHO’s mission, serving alongside ECHO’s Regional Impact Centers in Thailand, Tanzania, and Burkina Faso and Regional Impact Team serving Latin America and the Caribbean. The Global Demonstration Farm and Research Center is used to facilitate trainings for international visitors and development workers, conduct research, and produce seeds sent around the world. ECHOcommunity.org is the online resource and networking community serving visitors from 165 countries each month. How Can You Share the Story? Check out these tips to find out what you can do to support ECHO’s mission. Ask 1, 2, 5, or 10 friends to donate: Not as hard as you might think! Donate a birthday or holiday gift: Ask for a donation to ECHO in your name, or give to ECHO to honor someone else! Host a gathering: Visit this page to help guide your discussion about ECHO. Set up an info table: If your church, university, or workplace allows it, set out some information about ECHO and a donation jar. Make it fun: Do you love to bake, run, write, watch movies, or play an instrument? How could you connect that with telling other people about ECHO? Share cookies & ECHO, organize a 5k, write a blog post, host a benefit concert… Dedicate a day to doing what you love and sharing the ECHO story. Elevator Speech: ECHO is a global Christian organization that provides agricultural training and resources for those who work with small-scale farmers around the world.